Some months have passed since my last article and it’s time for a new selection of the best street marketing actions from the last few months! I begin with the freshest actions. The first one is an ambient operation to promote the tv series Game Of Thrones. I’m sure you’ve seen it already (the action not the series) but It had to appear in my selection. 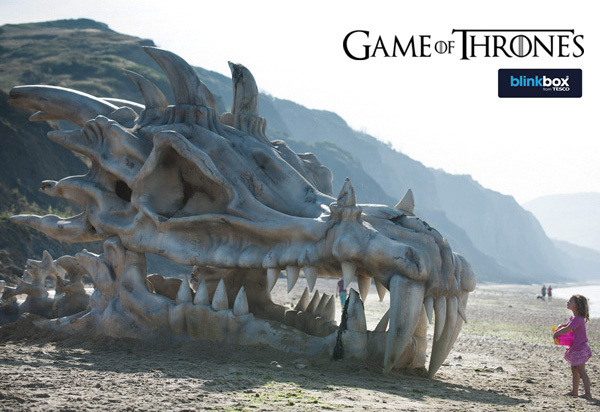 On a beach of south england (in Dorsert), Blinkbox, the TV channel, installed a huge dragon cranium. 3 meter high, 12 meter long, huge is not just a word! Really impressive, don’t you think? Talking about drinking, Molson Canadian, a beer brand, created an strange fridge : only a canadian passport could open it and give finally access to the treasure : canadian beers! (To know more about it). And keeping on going with drinks, Coca Cola recently took up a street marketing action whose the main objective was to incite girls to ask for help to open their bottles. What for? Helping mens and womens to meet! (here’s the review). This action can’t let anybody indifferent and the most interested could get a flyer, with a bone shape, at the dogs’ collar saying « adopt me » and on the other side « every dogs would like to have an owner ». 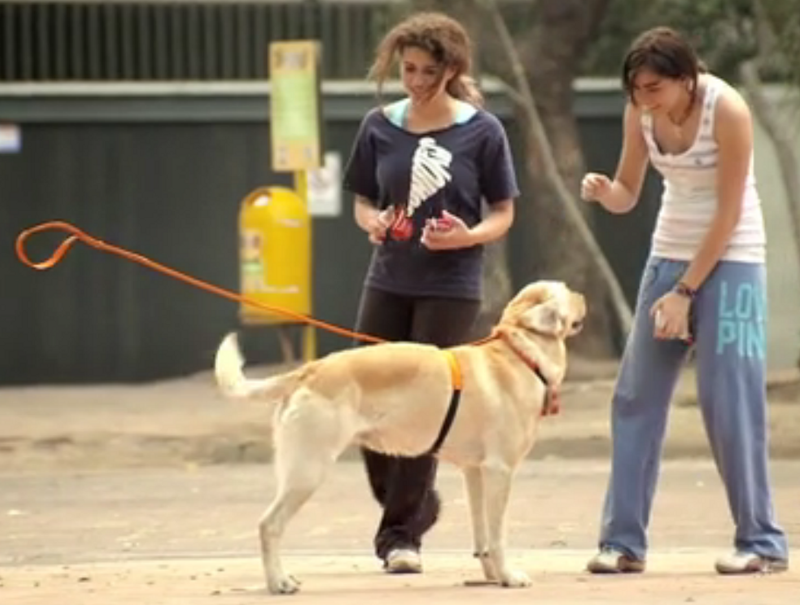 Thanks to this action, 200 dogs were adopted. A great performance, for their reputation and visibility too. 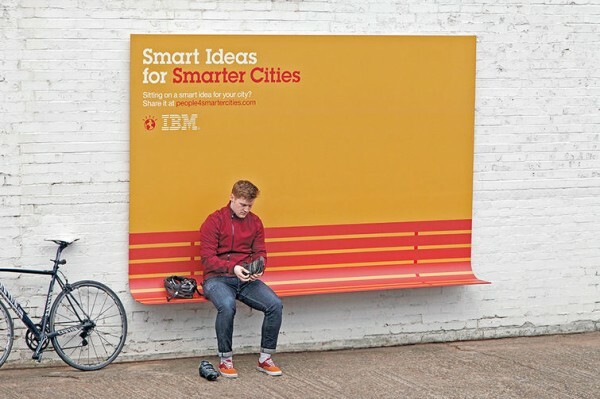 Another great idea came from IBM. Aren’t they the best to provide good ideas? I don’t know but this action was really well thought. What’s the point with billboards? Only advertising? IBM said NO! 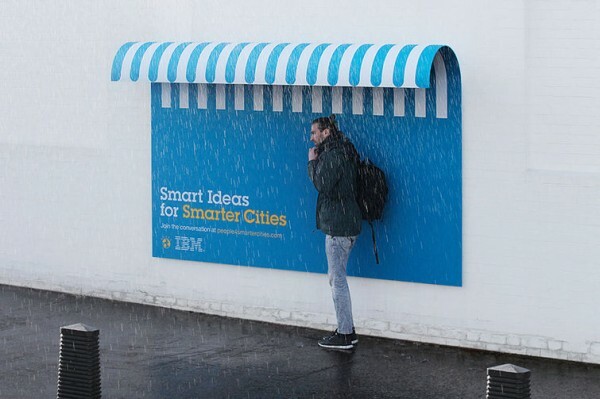 Now billboards can be useful and so, they showed it to everybody with some different styles of billboards in the street : one sheltering you from the rain, another can be used as a bench, another one helping you carrying your luggage… Usefull and of course a good visibility for the brand. Actually, this action advertised a collaborative plateform launch whose the aim is to rethink the city (the city of the future, of course!). 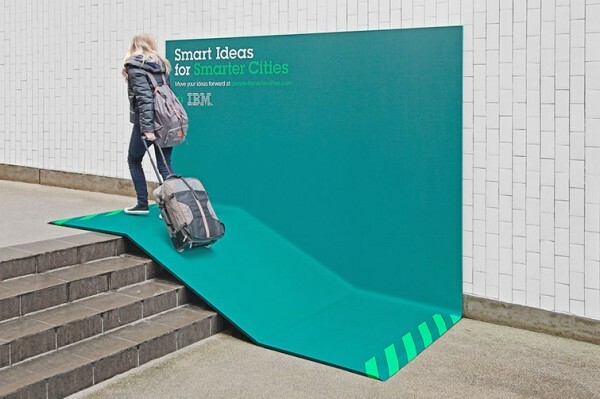 Well done IBM. The last one is not as funny as the others, in the subject at least. It deals with suicide and takes place in the london tube. To recruit more volonteers, an association which answers people in distress, Samaritans, had a very great street marketing idea. With a public phone and an interactive board, they created an immersive situation : a girl who seems depressive appears in the board, she takes her phone and calls the public phone. It rings (yeah, I know, It’s impressive). At this step, 2 choices : somebody answers and the girl thanks the individual and offers him or her to become a volonteer or, second alternative, nobody answers the call and she takes some pills to suicide. It’s an experiential action you never can forget as it has a huge impact on your emotions. What do you think ? Which one did you prefer? Have you heard about other actions? Please feel free to share! To see more street marketing actions, have a look at my scoop it page! Publié dans English Time, Street MarketingÉtiqueté alcohol, ambient marketing, bar, beer, Buzz, Campaign, concept, dogs, event, expérientiel, game of thrones, IBM, London, marketing, mexico, music, musique, pets, philips, serie tv, Street Marketing, UK, volonteer, whiskyMettre en favoris le permalien.